Who does Eliza have in her sights? What is Welly wearing? And what is he doing? Yoga?! Wait..wait…hold on – is that a Martian Lander behind them?!? All will be revealed on March 31st, 2015. But you might be able to pick up a few teasers while following @BooksAndBraun on Twitter and The Ministry of Peculiar Occurrences on Tumblr and Google+. 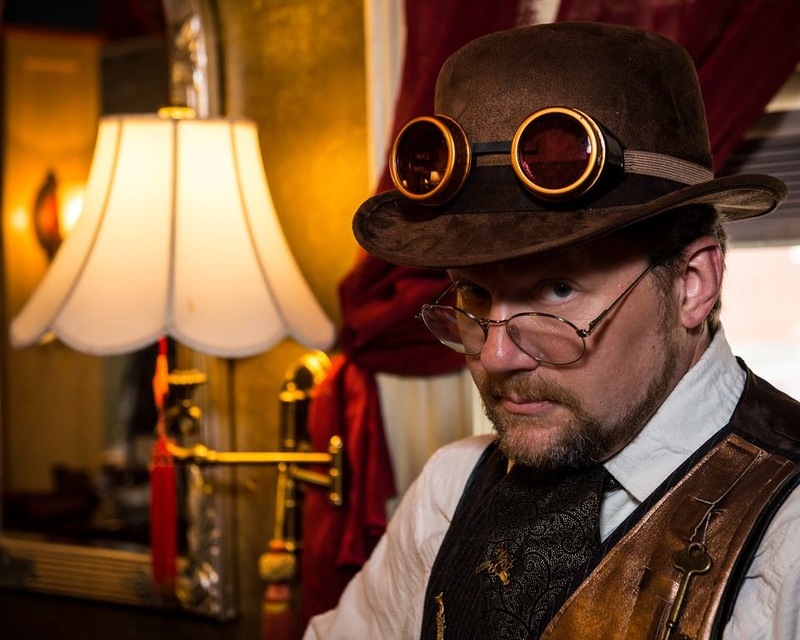 And before you ask, yes – the incomparable James Langton will be returning as the voice of the Ministry of Peculiar Occurrences on Audible.com for Tantor Media’s audio version of The Diamond Conspiracy. Make sure to let Ace Books (on Facebook and on Twitter) and Tantor Media know how much you enjoy your steampunk adventures from the Ministry of Peculiar Occurrences. 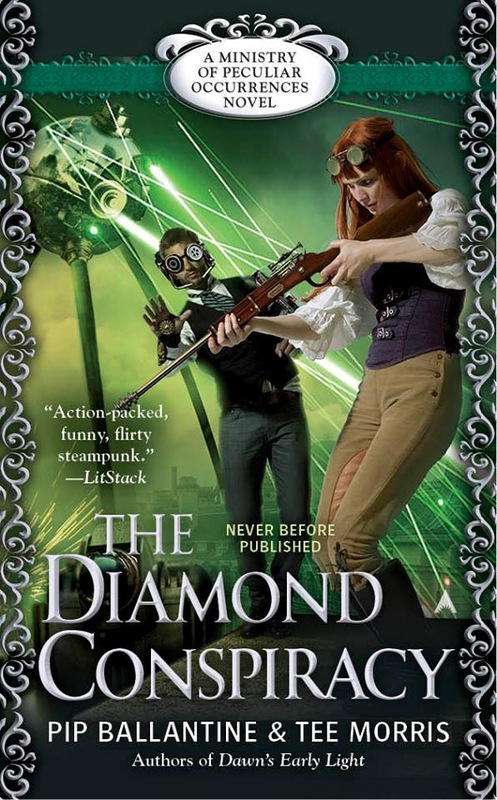 Preorder your copy of The Diamond Conspiracy today from Amazon – Barnes & Noble – Kobobooks, and share this cover across your networks. Pre-ordered. I must say, I have to wonder why they felt it necessary to put “Never before published” on the cover. This is a new series, of course it hasn’t been published before! Woohoo; good to hear. I’ve really enjoyed the books. I hope you can keep publishing a few more books in the series.